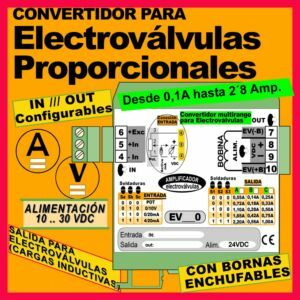 It ca be configured for electrovalves from 100mA to 3A. The adjustables SPAN and ZERO are accesible from the front. It’s assembled in a modular box so is compatible with DIN EN rails, using a reduced space and power.